We are one of the leading industrial conglomerates for any type of site, featuring cool in Bangladesh. With the support of a highly skilled management structure.
" Continuous development of people competency." " Introducing innovative products and technologies. " " Assuring quality products from advanced manufacturing facilities. " The Group's main objective follows the principle to reduce rural poverty and foster sustainable economic development of the country. Oriental has extensively focused on Infrastructure Development and Power Generation businesses through major investment undertakings and significantly contributed to the country's national economy's stability through the right business to business strategy. Oriental has assumed the leadership role with its operations in the Infrastructure Development, Real Estate & Construction, Power, Textiles & Garments, Media & Communications sectors. Oriental is the market leader in Real Estate sector over. Mr. Amjad Ali Khan founder Chairman and Managing Director of Oriental Real Estate Limited was not only a name but the heart of the organization. His ideas and inspiration were blood flow among the organization. His sudden demise on 2nd March 2004 was a shock, at his early age, when he was only 57. His three much capable sons, model of virtue, modesty and intelligence, took his finished and unfurnished work on their solid solders. Today we have a great history and sweet memories of past 22 years, success of height along with toils and moils right behind our past in the business. Let us pray for our inspiring former Chairman and Managing Director, Mr. Amjad Ali Khan, who himself was an institution, leader, foresighted personality and above all a great persona. FACILITATE WITH COST EFFECTIVE & MODERNISTIC SOLUTIONS TO FULFILL THE GOAL OF IMPROVING LIVING STANDARDS. THE GROUP'S MAIN OBJECTIVE FOLLOWS THE PRINCIPLE TO REDUCE RURAL POVERTY "ORIENTAL GROUP"
House: 15, Road: 4, Dhanmondi Dhaka-1205. Bangladesh. 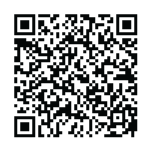 Smart Phone Users, Use QR Scanner to Scan this. © Copyright 2018 by Oriental Group.